How to submit your expenses and mileages using the mobile and/or the web app. This article outlines how Circula users can submit expenses and mileages using the mobile app or via the web app. Click on the green plus button. Scan a readable copy of your receipt with the integrated camera function. Alternatively, you can select PDF invoices from your Storage after having forwarding them via email to us. Enter the required expense details. Enter the required mileage details. Review your information and tap 'Submit' to finish the process. 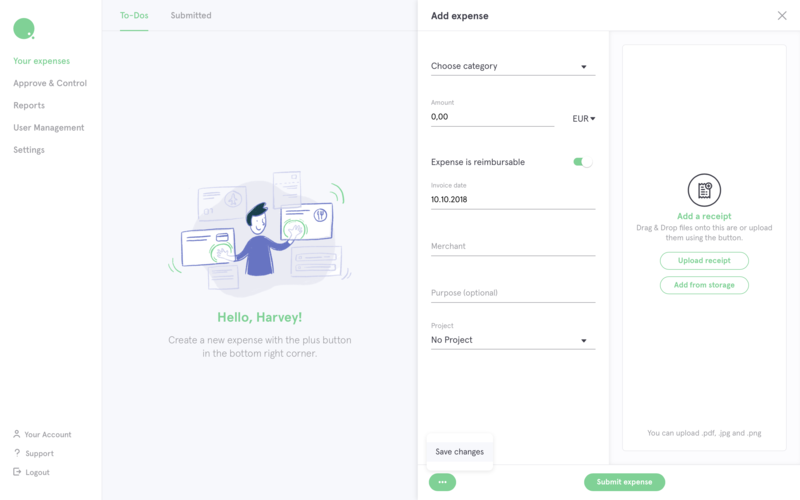 Enter the expense details in the sidebar. When submitting an expense with invoice, use direct upload or Storage to attach the document. Storage contains all the receipts that you have previously forwarded us via email, or scanned and saved using the mobile app. 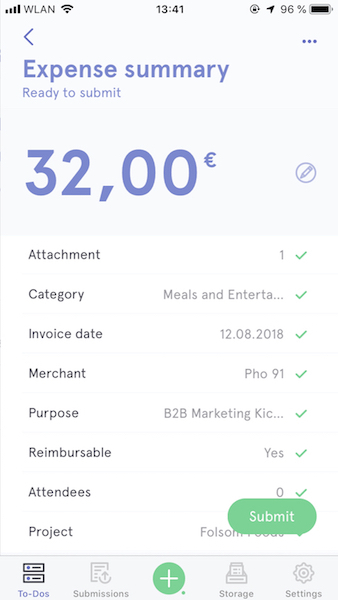 📝 Note: you can also save your expense to submit it later by clicking the secondary button with 3 dots and then selecting 'Save changes'. Submitted expenses are listed in the Submitted tab. Approved and controlled expenses will be highlighted in green. Circula users can also create trips using the web app or the mobile app. For more information about this process, see this article.